ATLANTA – Feb. 22, 2016 – In celebration of a two-week Reading with Ringling competition that took place at Peachtree Elementary School, the entire third grade class will receive a special visit from Ringling Bros. and Barnum & Bailey®’s famous clowns for a circus-themed pep rally on Wednesday, Feb. 24, 2016. Most notably, the pep rally will feature Sandra Deal, First Lady of Georgia, who will attend to congratulate the students on their reading accomplishments. Mrs. Deal will read University of Georgia football star Malcolm Mitchell’s popular children’s book, “The Magician’s Hat,” to students during her visit. Faculty is tallying up the total number of pages read over the past two weeks in order to determine the winning classes. As an incentive, the top three performing third grade classrooms to be announced at the pep rally will be rewarded with a field trip to Ringling Bros. and Barnum & Bailey® presents Circus XTREME! on Friday, Feb. 26, 2016 at 10:40 a.m. at Infinite Energy Center. Additionally, Ringling Bros. donated 100 circus-themed books to the school library. 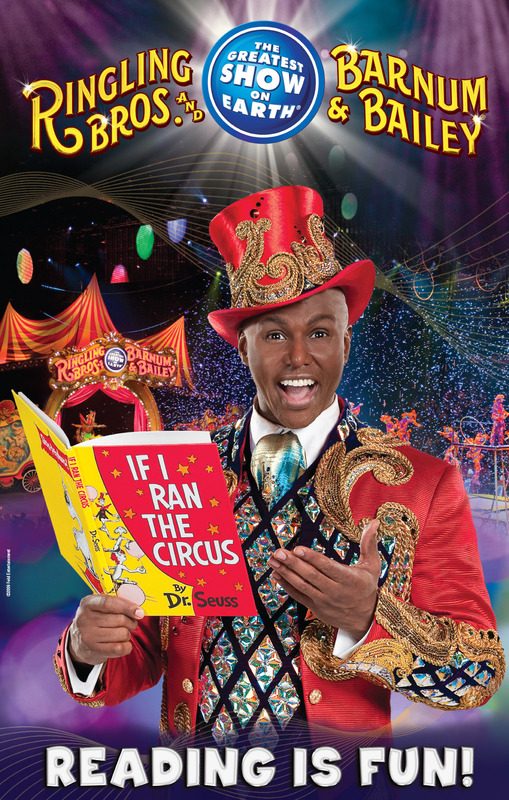 When: Wednesday, Feb. 24, 2016 from 10 – 11 a.m.
Ringling Bros. and Barnum & Bailey® presents Circus XTREME! will be at Infinite Energy Center through Feb. 28, 2016. All seats are reserved, and tickets are available at www.InfiniteEnergyCenter.com. First Lady of Georgia Sandra Deal launched her “Read Across Georgia” initiative in support of Gov. Nathan Deal’s goal of increasing the percentage of children reading at grade level by the completion of third grade. The governor proclaimed March “Read Across Georgia” month in honor of this initiative. “Parental activities as simple as reading stories aloud to young children can greatly improve and enhance our students’ reading and literacy skills,” said First Lady Deal. “Georgia children are a precious resource and undoubtedly capable of being the future leaders of our state. We, as parents, teachers and mentors, must take it upon ourselves to ensure that our students are good readers.” The first lady’s goal is to visit every school district across the state.